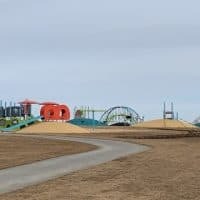 Kids love playgrounds with a good theme. 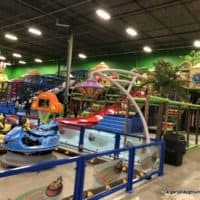 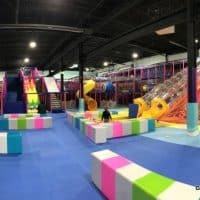 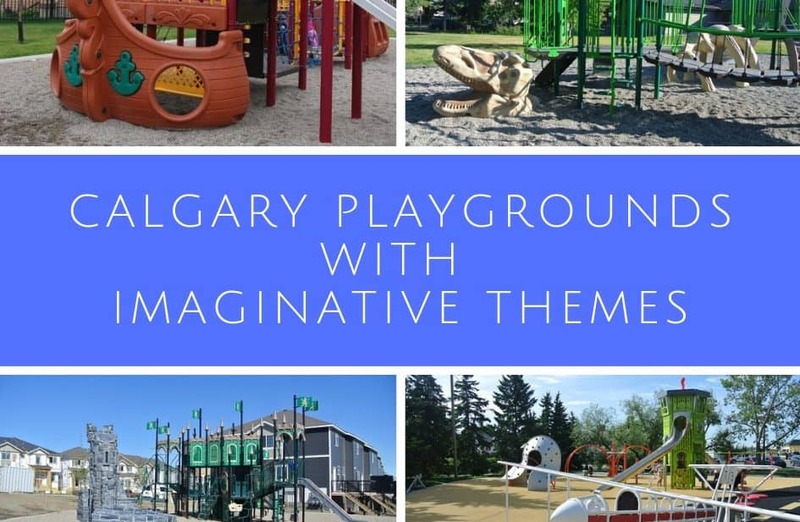 It inspires imaginative and creative play and even when kids don’t find the equipment particularly challenging they can still have a ton of fun engaging in pretend play. 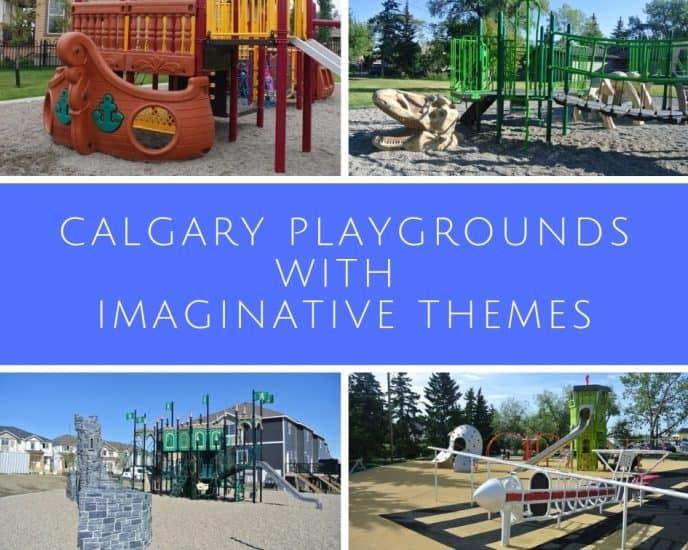 These playgrounds provide a great backdrop for imaginative play. 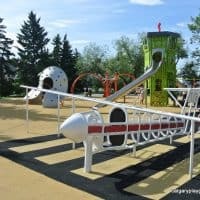 Currie Barracks playground has a fantastic airport theme complete with a runway, control tower and airplane. 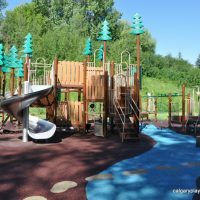 Cliff Bungalow playground has a woodlands theme, with a river, toadstools and logs. 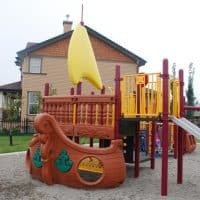 This Prestwick playground has a pirate ship AND a castle climber. 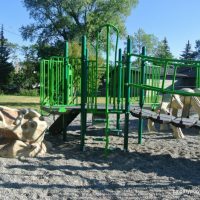 Kids will adore the dinosaur bone equipment at this Capitol Hill playground. 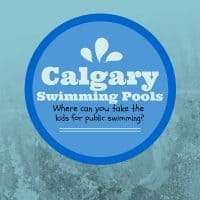 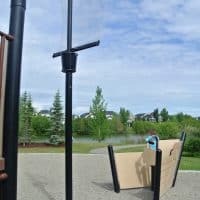 Prince's Island Park's playground has a Calgary theme, with a large fort climber, train climber and cowboy hat swings. 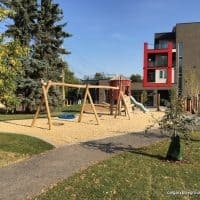 Kids will love the cool ship climber at this playground. 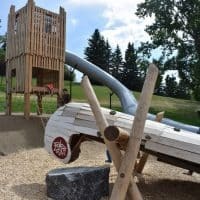 Confederation Park's natural playground looks to the past and includes two fort structures and a canoe. 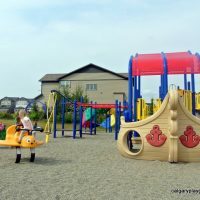 This playground isn't super big but it has a great ship theme and a couple awesome slides. 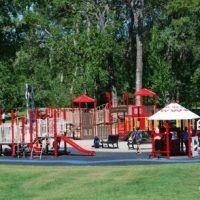 Mills Park looks back to the history of the area with Ranch inspired play elements. 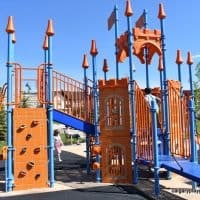 The kids will love playing at this castle themed playground. 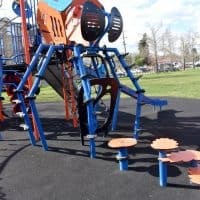 The main climber at this playground looks like a giant insect. 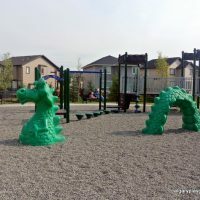 There are three castled themed playgrounds in Nolan Hill including this one will a sea monster climber. 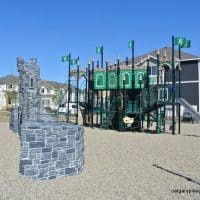 Castle themed playgrounds are plentiful in Nolan Hill. 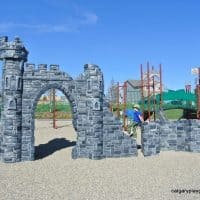 The third castle themed playground in Nolan Hill is also my personal favourite. 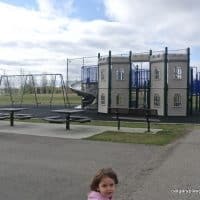 School playgrounds don't usually have themed playgrounds but this one has a large castle themed section. 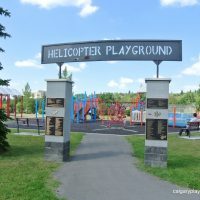 The helicopter playground has a fun helicopter play structure.